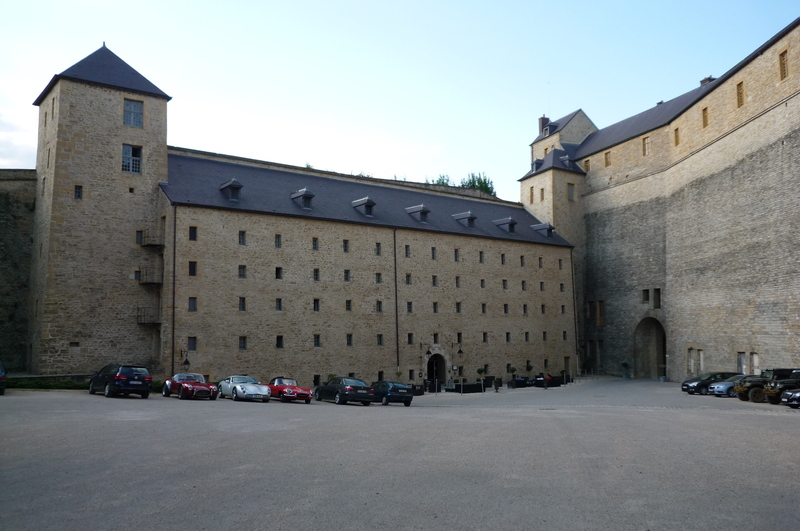 Thanks to the ever-gracious Lyn from Freewheeling France and the French Ardennes Tourism Office I have just returned from my 2nd press trip of the year. This one was to explore a little of the northern department of the Ardennes, but more specifically, the Trans Ardennes Bike Path, which the department has obviously invested a lot of money and time into, hence the willingness to pay for me and my Bianchi to come and pedal up and down it. My first day was mostly spent on the train, since I live pretty much as far as you can get away from the Ardennes, in northeastern France. 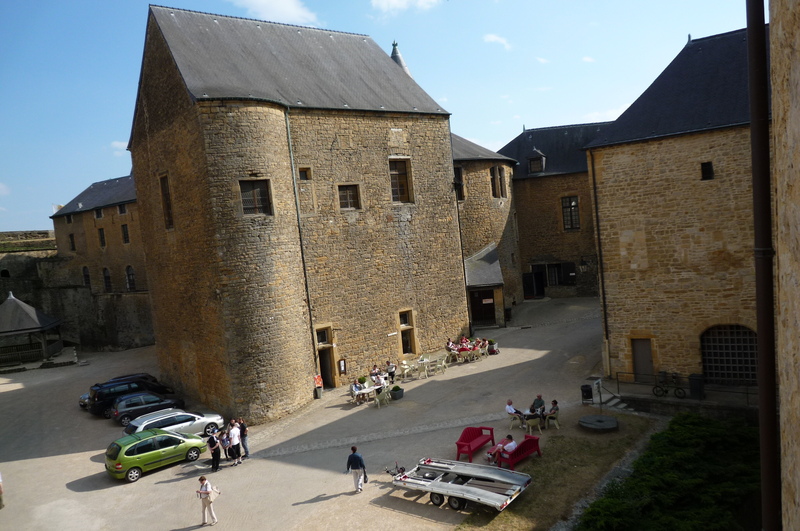 I was met at Charleville-Mézières station by Jörg from the tourism office, and we strolled around the town for a bit. 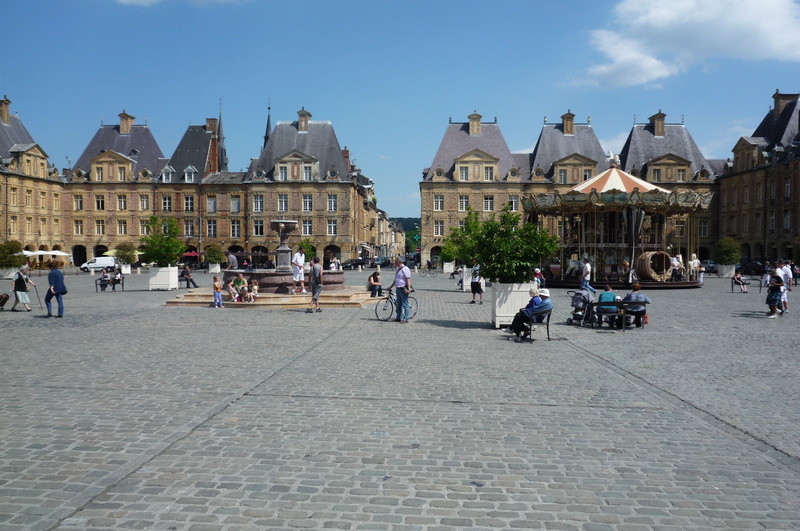 Above is Place Ducal, the main square of Charleville. Does it remind you of anything? Ever been to Paris? Marais? OK, you get no more hints. 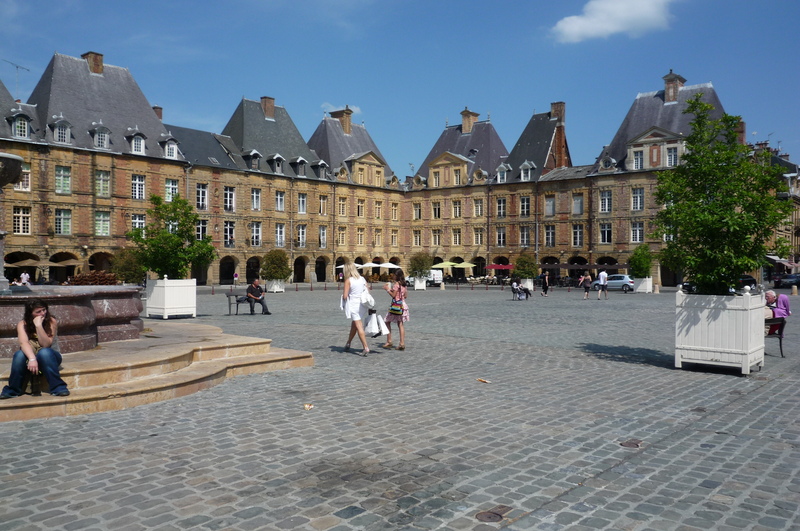 This square was, according to Jörg, designed by the brother of the architect that made Place des Vosges, the oldest planned square (and tourist hell) in Paris. This one was much more pleasant. Here is Charles Gonzague himself, an Italian prince who wasn’t satisfied living in cities named after other people I guess, since he built Charleville (later joined with older Mézières) from scratch. A fickle man, Jörg told me that he went back to Italy later and died there. Some people are never satisfied. After a couple of hours I left Jörg and headed out onto the road. My destination: Sedan. Although technically not part of the Trans Ardennes Bike Path (yet), it is certainly worth the extra 25 km detour. Sedan houses the largest medieval fortress in Europe, which also happened to be my hotel for the night. 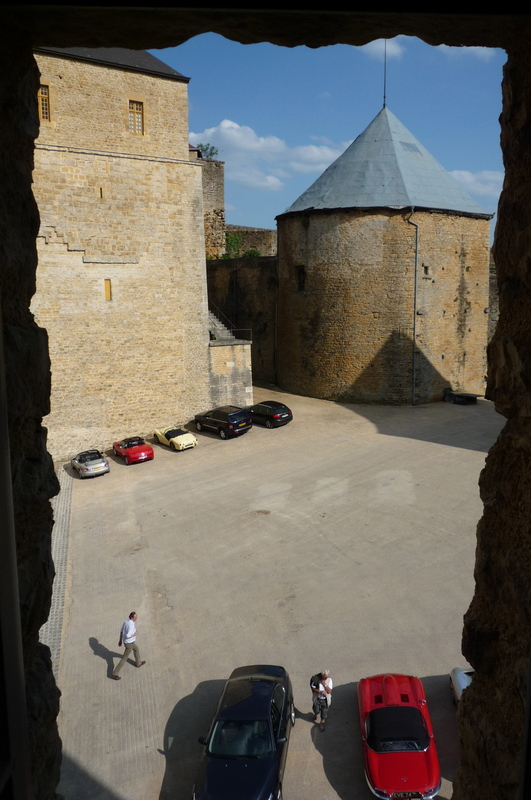 The medieval window was small, but I’d say this is a room with a view. This entry was posted in Cycling, Longer Trips/Flashbacks and tagged Trans Ardennes Bike Path, trans ardennes green track. Bookmark the permalink. Fabulous photos as ever, Gerry. Are you a full-time journalist? I very nearly went that path but sidestepped into publishing at the last moment! Hardly, although it doesn’t seem like such a bad job if someone will pay me to ride my bike around. No, this is only the 2nd time I’ve done a trip to write about it, so can’t really call myself a journalist. Are you still working in publishing from your Llama farm? looks like the journalism thing is paying off! 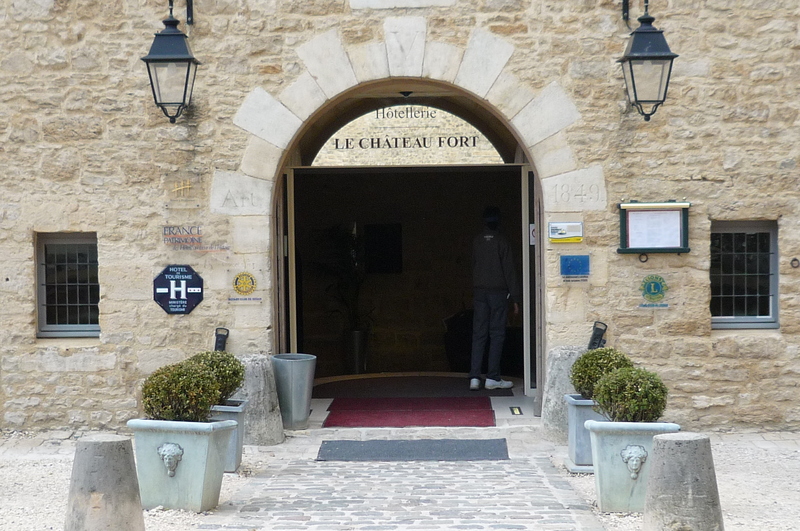 I’ve stayed in that hotel, v nice,my former employer (Tarkett) has a factory in Sedan. (I now work for a Lyon based company). A coast to coast route on my doorstep, I’d be happy to host you, but couldn’t promise such grand accommodation! Oh man, another ride I now want to do…you know anyone who will pay me to do it, Andrew? Love the site. Very well organized, the way the cycle tourism industry should be. Nice ‘small world’ story, too. I had great places to sleep the whole long weekend, but the hotel in Sedan was the highest on the ‘swank meter’. When you are off on your cross-country trip, by the way? 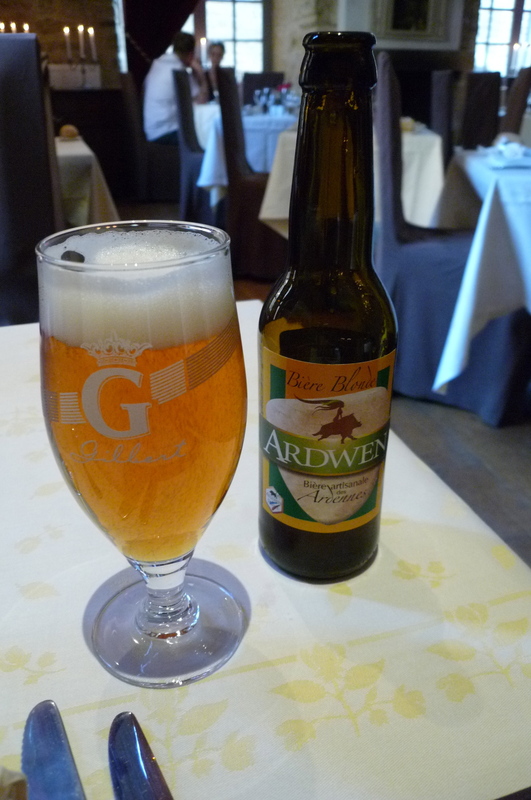 Anyway, it wouldn’t need to cost much, cheap flight nimes-liverpool with Ryanair (or take the European Bike Exprees) , camp on the ride, you’d only need beer money (thats proper beer, not that continental pish you’ve been drinking!) Anyway, the invite’s open! I leave home for France on friday, land in Normandy 6:45am saturday, plan to hit the med by 17:00 on wednesday, weather looking pretty crappy thru France, that wasn’t in my plans, oh well, it’s not as if I’m not used to riding in rain! Is that an offer…? Thanks, Tim! 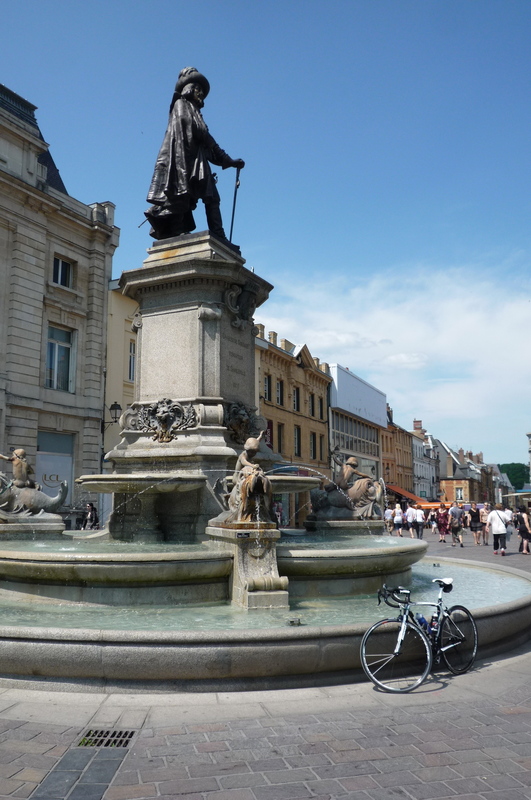 I doubt I ever make it to France, but your blog and pics are the next best thing in my book. Keep it up! Many thanks. And France is not that far away. If you ever come up with a good reason to come over (e.g. cycling…! ), I’ll be happy to show you are the south.